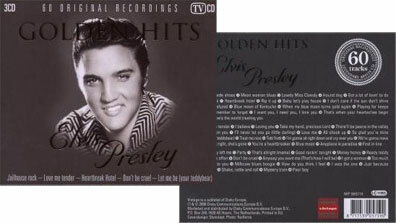 Released June 20, 2008 in the "Golden Hits" series is a 60 track 3CD budget compilation of Elvis Presley's early work. Hey, Elvis must had felt this way when he was going to do a new movie, when he realized it was only the location that was different, but the story wasn´t. It´s the same story here, only the cover is different.